6.5 / 10 by 921 users Rate Now! : Sometimes, it takes a strange night to put everything else into focus. 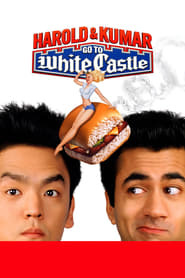 And that's exactly what happens to Harold and his roommate, Kumar, when they set out to get the best stoner fix money can buy: White Castle hamburgers. Both guys are at a crossroads, about to make major decisions that will affect the course of their lives. Yet they arrive at wisdom by accident as they drive around New Jersey in search of fast food.